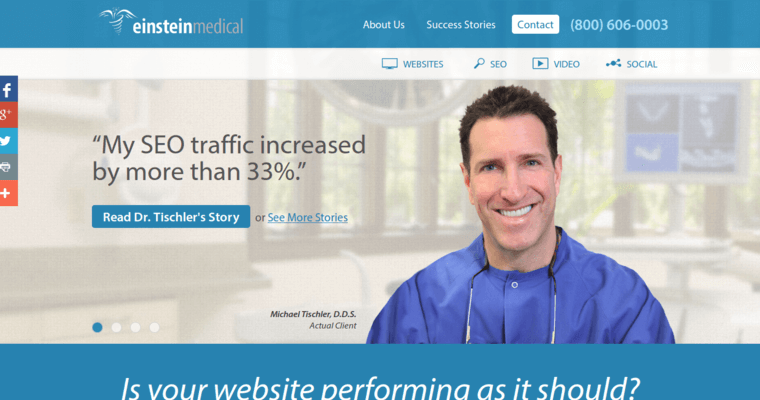 Businesses in the medical industry face unique challenges. They must deal with stakeholders in government and the insurance industry while working hard to meet the needs of patients. To get ahead in this industry, companies need a team of experts to get them the online traffic and sales they need to stay profitable. 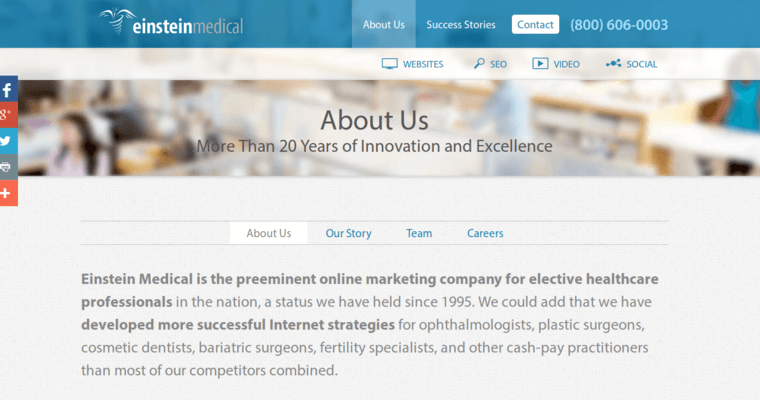 Einstein Medical has teams of seasoned professionals who know the nuances of medical businesses as well as the intricacies of SEO. 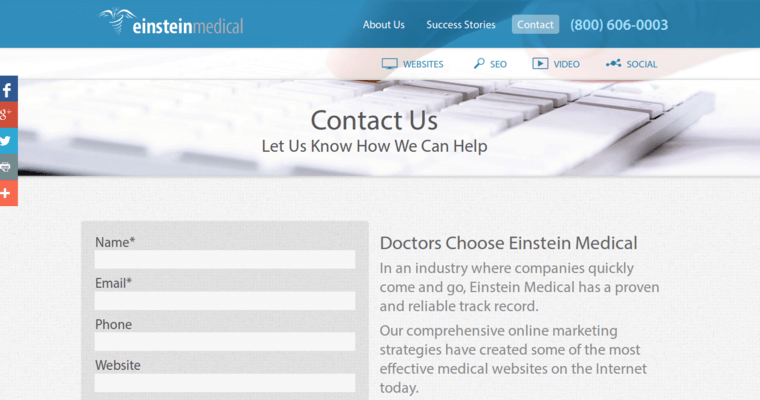 Altogether, Einstein Medical has built a stellar reputation as evidenced by its vast client portfolio. Regardless of size, Einstein Medical has the tools to help. They begin by learning about the needs of every client and continue by crafting a customized SEO strategy that drives traffic and clientele.